It’s been almost 70 years since 1984 was published and today it feels just as relevant as ever. From what the NYT and others say, Trump’s 2016 victory has played a big role in the resurgent popularity of dystopian novels like this one. But the issue is much larger as surveillance scandals, particularly involving security agencies like the NSA, present deep and enduring concerns for privacy, freedom, and liberty. 1984 isn’t just a riveting narrative. It’s a warning that modern society will naturally gravitate toward centralized control unless we actively oppose it to defend individual liberty. The protagonist of 1984 is Winston Smith, a member of Oceania’s Outer Party, who works in the Ministry of Truth. Winston’s job is in the Records Department, where he rewrites and falsifies Oceania’s history to align with the government’s narrative. Determined to resist the evil, dictatorial regime led by “Big Brother” which surveils and dictates everything he does, Winston locates and befriends a pair of collaborators. One, a love interest named Julia, and the other, a higher-ranking co-conspirator named O’Brien. To confront evil in Oceania, Winston risks everything and faces his darkest fears. 1984 feels more like a cautionary tale than anything else. Orwell is describing (in terrifying detail) what could happen to the developed western democratic world should it tread the path of total government stewardship. Oceania borrows elements from the Soviet Union, North Korea, Hitler’s Germany, and the People’s Republic of China. In these societies, individual liberties are disparaged in the name of societal betterment (in China, the word used to describe this is “harmony”, 和谐). In 1984, Winston transitions from doubtful of the official narrative to active subversion of the state, which threatens his life. What price are you willing to pay for freedom? How much are you willing to deal with to avoid trouble? Orwell indirectly asks both of these questions of the reader, through Winston’s actions in the face of danger and injustice. A major theme in 1984 is the mental toughness Winston uses to maintain his psychological frame. The government presents a truth which Winston rejects because he knows it is false. He goes through the motions of life in Oceania while suppressing his knowledge that he is being fed lies. When he faces hardship in the book’s second act, he must dig deep to hold onto his beliefs and principles as the Party seeks to break him. It’s easy to see 1984 as a depressing forecast of what might seem like an inevitable future. I find Winston’s fortitude inspiring and encouraging. We all have a limit. But striving to maintain our sense of what is true and good and to act in accordance with those principles is the noblest thing we can do. In moments of crisis one is never fighting against an external enemy, but always against one’s own body. Technology has guided modern society, especially in the digital realm, toward a future of centralization. A few internet companies (especially Google, Amazon, and Facebook) wield overwhelming power over our personal information, which will willingly give in exchange for access to some incredible tools. Is it worth it? In China, there is an app called WeChat, which has become the hub for digital life life. It’s like Facebook, Twitter, and Amazon combined into a single app. If you want to know everything about everyone in China, it is almost certainly the best single-source of that. WeChat Wallet dominates to the degree that most of the people I know in China don’t even bring cash with them when they go out: they pay with their phones everywhere, for everything. After witnessing this in China, I’m convinced that this will spread to the U.S. and the developed world. Can we accept these huge leaps in convenience without giving too much power to a central authority? In 1984 it seems that Orwell is not answering these questions as much as he is emphasizing the importance of asking them. 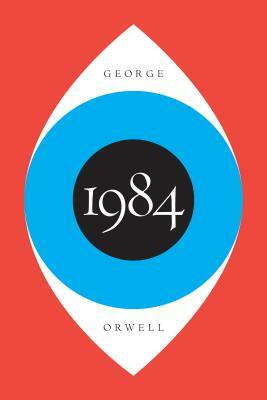 I first read this book decades ago, but it wasn’t until recently that I decided that I had to return to 1984. As time passes, the world in many ways comes to more and more resemble Orwell’s Oceania. I am optimistic about the future but it is a fact that we are stepping into a future where privacy has been deeply compromised in the name of convenience and centralization. What insights on this society was Orwell able to impart when he originally released this book in 1949? 1984 is considered one of the best science fiction books of all time because its warning message about the relationship between people, government, and truth is as prescient today as ever. Since Donald Trump’s election in late 2016, sales of have skyrocketed so much that 1984 is Suddenly a Best-Seller. There’s a great chance you have already read 1984. In case you haven’t, I have no revealed any plot spoilers in this post.